Jazz Legends – A photo exhibitions of portraits of the greatest legends in the history of jazz, shot by two of the greatest photographers in Denmark: Jan Persson and Kirsten Malone. 22 guests turned up to this exhibition of maybe the most important jazz portraits that have ever been (and will be) shown in Nepal. It was during the Jazzmandu Festival where we got a small notice in one of their newsletters. Still nobody came. After such a big fiasco most other people and or companies would have closed future projects down and kept quiet. But that idea never came to our mind. We love art and love to surround ourselves with art we like. NOTICE: We deliberately don’t say ‘good art’ – art is individual – it depends on the eyes and mind of the spectator. And that brings us to one of the reasons behind our Art@Tings projects. Our love for art combined with our vision behind Tings (to make a difference for young talented boys and girls) made it natural for us to start up projects to promote local art and artist. Not with money but with our personal involvement, our international network and our passion. We named the project Art@Tings. Mostly because the easiest and fastest way to help was to present art to all our guest at Tings Tea Lounge & Lounge Hotel. Our walls almost cried out for art. Art@Tings was started up in spring 2011. Still it took us almost 6 months before we opened Jazz Legends – an exhibition that had absolutely nothing to do with Nepalese art. We couldn’t find art we really liked. So instead of doing nothing we decided to start up with art that that would never find its way to Nepal if it wasn’t for us. Hence Jazz portraits and the follow up Home Sick Blues with Danish Art Superstars such as Christian Lemmerz, Michael Kvium etc. Art we hoped would inspire the local art scene. In the meantime we looked around for the local art and the artist we knew must be out there somewhere. More than a year and 5 exhibitions later we opened our first exhibition with local contemporary art: NoNameNoThemeJustArt by a group of very talented young artists that turned Tings into a fantastic art fair with all kinds of art everywhere. This exhibition was a turning point in our involvement. It didn’t sell at all. NOT a single piece of art. A huge disappointment to us because there were unique pieces among the exhibited works. We seriously talked about stopping. Instead we decided to change the strategy. We decided to involve ourselves personally in setting up the shows. Not on the creative side – but on the marketing and commercial side. Both the Prasad and our first Solo exhibition by a local artist became commercial successes. THANK GOD for not stopping after the flop with Jazz Legends. Today we open our 10th exhibition. DISSOLUTION by Stephen Freiheit. And like the previous 9 exhibitions this is the best art we’ve ever had at Tings 🙂 And it represents the focus in all projects we get involved in: Attitude, quality, artistic integrity and power. If you don’t remember the previous shows click on the picture above. Looking back Art@Tings has developed into more than things you can hang on the wall. Since we’ve started we have worked with Film Festivals in Kathmandu and in Copenhagen, Poetry, various workshops. We’ve worked with food, fashion and probably a lot more which I don’t remember. Today Art@Tings is a creative hub for creatives. We will not stop our Art@Tings involvement. BUT we will rethink things – we HATE repeating ourselves. We don’t know how, what etc. But we do know that in November 2014 we’ll show Variations of an Idea by Karl Knapp who helped us with the local Art Scene (so why not get him involved in refueling Tings) – and who knows maybe one more event before. Music means a lot to us – we integrate it in all we do. And as always we do everything for free and without charging provisions from the sales. 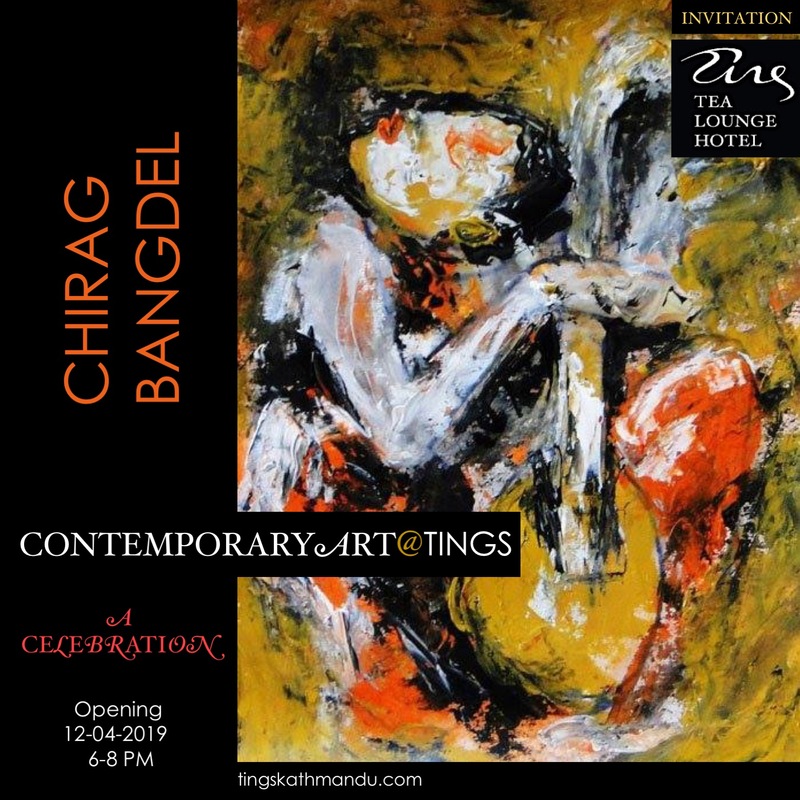 Posted in Art@TingsTagged Annette Tingstrup, Art@Tings, Hotel, International, Jazz Legends, Karl Knapp, Kathmandu, Nepal, SoundCloud, Sudeep Balla, Thomas Tingstrup, Tings Tea LoungeBookmark the permalink.